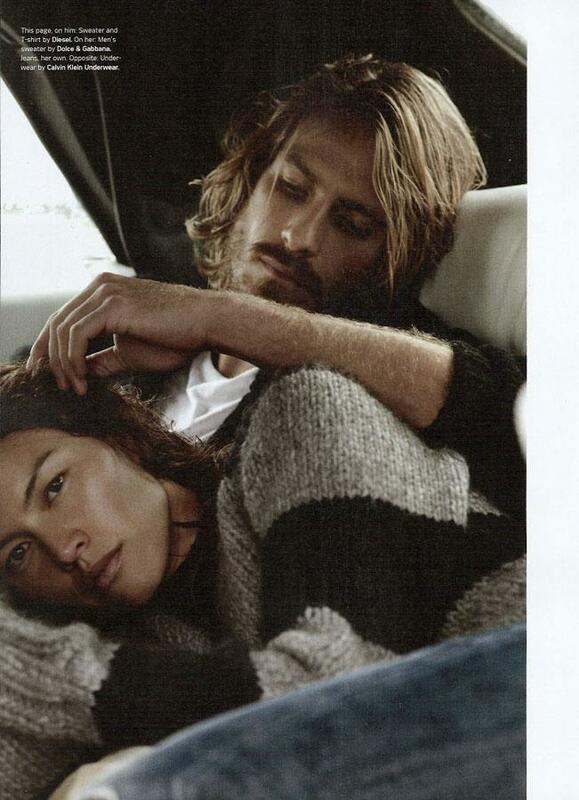 The divine Aline Nakashima features alongside her partner, fellow model Ryan Burns in a poignant editorial for the December 2011 issue of Details. Photographer John Balsom captures the genuine intimacy between the two lovebirds as they embark on a road trip. Spotting this editorial on models.com was enough to inspire me to put together a post on this unique beauty. Nakashima was born in San Jose Dos Campos in Brazil and owes her extraordinary exotic looks to her Japanese father and Portuguese-Brazilian mother. 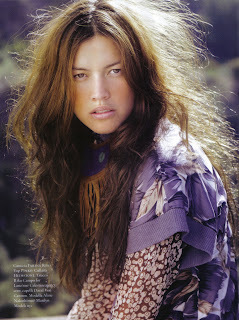 Discovered at the age of 17 at a model try out in Sao Paulo, Nakashima was swiftly signed up by Marilyn Model Management. Nakashima is best known for her commercial and print work for clients including Saks Fifth Avenue, Neiman Marcus, DKNY, Armani Exchange, the GAP, Esprit, Victoria's Secret and Ralph Lauren, and appeared in two consecutive issues of Sports Illustrated's Swimsuit Issue. I'm particularly drawn to Nakashima because she has a look is that unique and not easily discernible. With her freckles, almond shaped eyes, baby doll face and golden skin tone, Nakashima is a wonderful blend of cultures and for me represents a truly international ideal of beauty.